The distance travelled is relatively small for my first glimpse of the golden beauty. Not far short of my mail-box, a neighbour has a majestic specimen lighting up our grove. Throughout the year it blends chameleon-like in an ash-green shade amongst other leafy companions putting on their summer display. 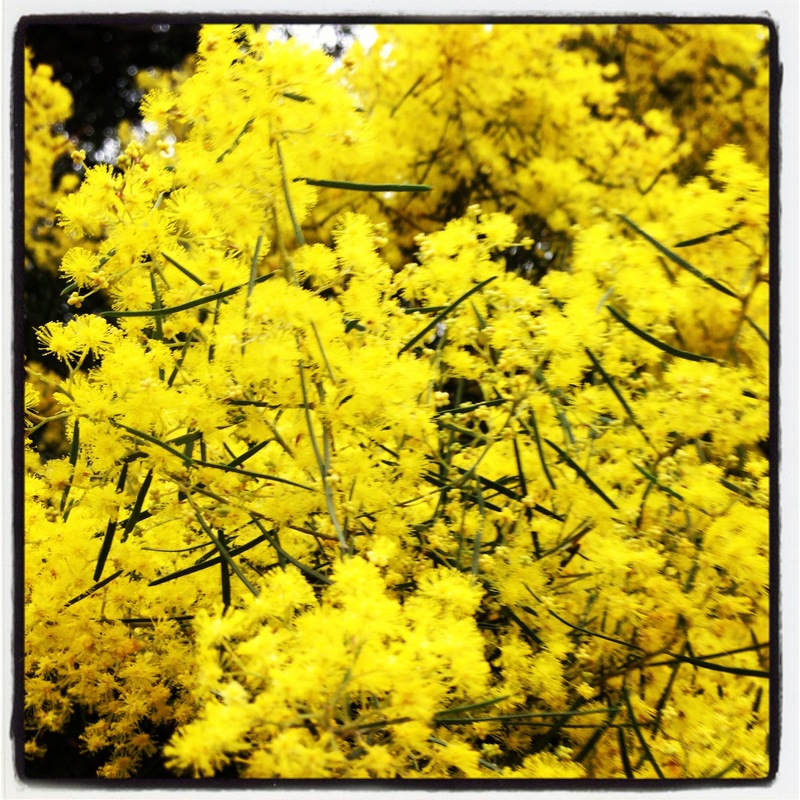 As the season pulls out its crispest of days, the summer pretties are leafless and forgotten – but now the wattle takes centre stage. And fortunate we are, as short drive through our district reveals an incredible variety. The early flowerers are now fading, the golden is in her prime and others are poised to burst. A spectrum of gold has painted our neighbourhood, it surely is Winter. Lemon Delicious pudding. 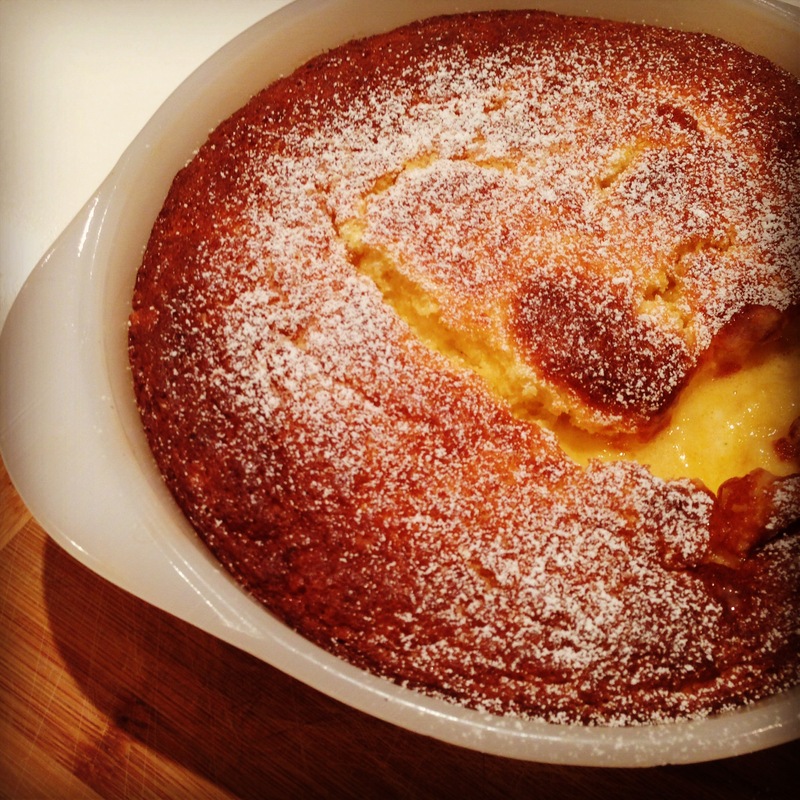 All things golden: butter, egg yolks, lemon and crust. Gold. Preheat the oven to 180 degrees celsius and grease a casserole dish. Cream the butter with the lemon rind and sugar. Stir in the flour alternately with the milk. Beat the egg whites until stiff and fold into the mixture with the lemon juice, lightly and gently. Pour into casserole dish and bake for 45-50 minutes. Dust with icing sugar and serve hot with cream or ice-cream. 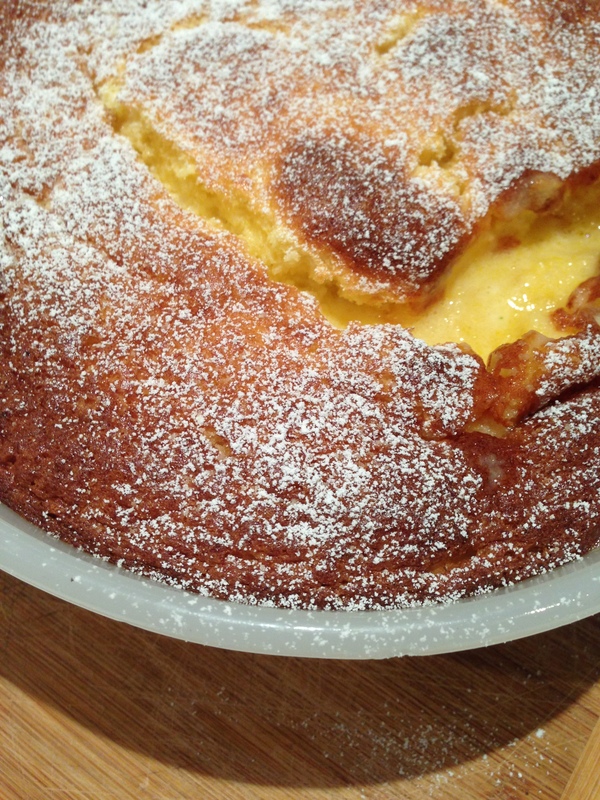 Postscript: So as the neighbourly tree lit up our street, this lemony pudding did its part shining in the kitchen.